Front Fixed Panel: 14" Glass Door: 25" Side Fixed Panel: 32 in. While other products may gather unsightly mineral build-up over time, Delta soft rubber Touch-Clean. spray holes allow any mineral residue to simply be wiped away for an instantly refreshed look with no need for soaking or the aid of chemical cleaners. Delta. pressure-balance valves use Monitor. Technology to protect you and your family from sudden temperature changes. Delta WaterSense labelled faucets, showers and toilets use at least 20% less water than the industry standardsaving you money without compromising performance. Prepare yourself for the feeling of more water with H2Okinetic Technology<sup></sup>. H2Okinetic<sup></sup> provides a truly better shower experience. The warm, drenching water coverage is the result of a denser water pattern and larger droplets that retain their heat longer to soothe and revitalize. 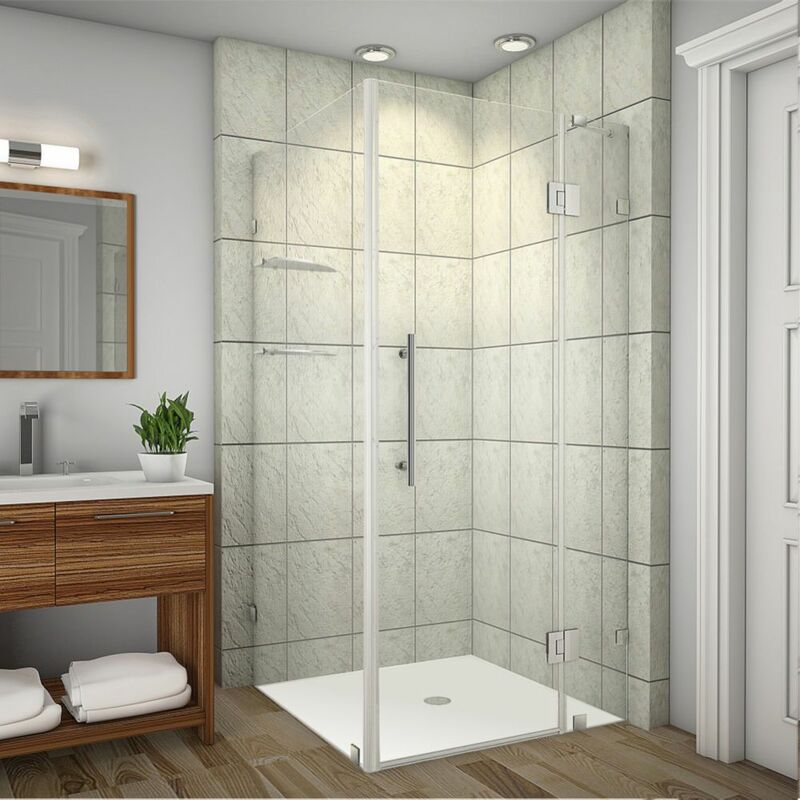 The In2ition shower features a detachable hand shower, which can run separately from or simultaneously with the shower head, giving you the warmth and flexibility of two streams of water at once. Enjoy the comfort of water streaming from the shower head position, while the hand shower offers the flexibility to accomplish other tasks, such as bathing your children; washing your pet; and keeping your shower clean. When you're finished, simply slip the hand shower back into place on the shower head. The In2ition Two-in-One Shower is a quick and easy way to upgrade your shower. Simply remove your current shower head and replace with the In2ition shower. The In2ition shower features a detachable handshower, which can run separately from or simultaneously with the showerhead, giving you the warmth and flexibility of two streams of water at once. Enjoy the comfort of water streaming from the showerhead position, while the handshower offers the flexibility to accomplish other tasks, such as bathing your children; washing your pet; and keeping your shower clean. When you're finished, simply slip the handshower back into place on the showerhead. The In2ition Two-in-One Shower is a quick and easy way to upgrade your shower. Simply remove your current showerhead and replace with the In2ition shower. There's no need to go behind the wall to enhance your everyday shower. Innovative Pause feature allows you to conserve water while lathering up. The In2ition shower features a detachable handshower, which can run separately from or simultaneously with the showerhead, giving you the warmth and flexibility of two streams of water at once. Enjoy the comfort of water streaming from the showerhead position, while the handshower offers the flexibility to accomplish other tasks, such as bathing your children; washing your pet; and keeping your shower clean. When you're finished, simply slip the handshower back into place on the showerhead. Avalux GS 39-Inch x 32-Inch x 72-Inch Frameless Shower Stall with Glass Shelves in Chrome The Avalux GS completely frameless square/rectangular hinged shower enclosure with glass shelving series provides a contemporary, upscale showering experience in your existing shower space. Available in a number of sizes, the Avalux comes ready to install, complete with 10mm ANSI-certified clear tempered glass, chrome or stainless steel finish with stainless steel composite hardware, Self-Centering hinges, premium clear leak seal strips and engineered for reversible left or right-hand hinged pivot door installation. The GS class includes a two-tier glass shelving system with added convenience and sophistication. This model includes a 5 year warranty; base not included.